A supporter of President Muhammadu Buhari has landed in the hospital after breaking his nose while celebrating the president's victory. A supporter of President Muhammadu Buhari has been rushed to the hospital after injuring himself while celebrating the victory of the All Progressives Congress (APC) in the just concluded polls. 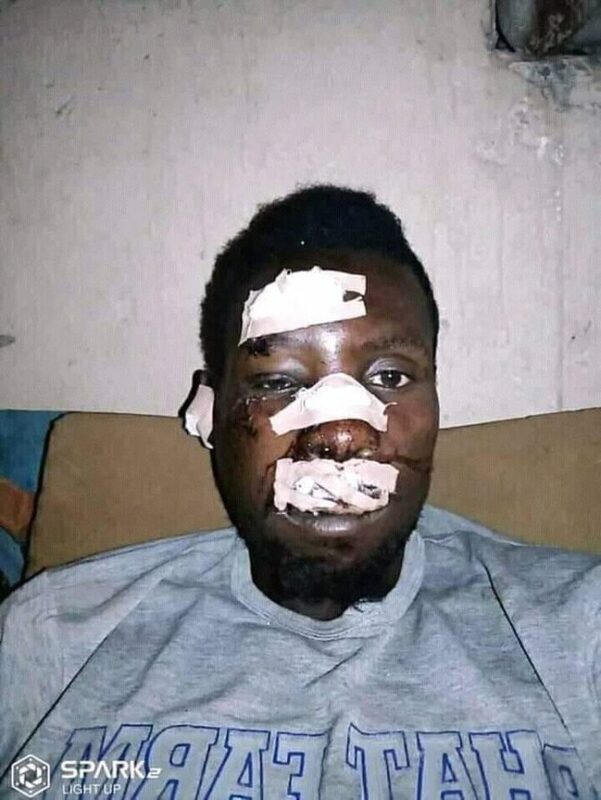 It was gathered that the young man fell down from a motorcycle and broke his nose and other parts of his face while rejoicing with others in the north. This is coming just hours after a young man lost his life yesterday while celebrating Buhari’s victory. The deceased fell from a motorcycle while jubilating with others along a highway in Jalingo, Taraba state capital.